The public sector needs to respond to a wide variety of customer demands placed upon it. Think of any service you encounter. If the organisation understands and responds to what matters to you, you experience good service and the organisation is likely to be delivering it in the most economical way. If, for any reason, the organisation does not recognise and respond to what matters to you, the organisation consumes more resources in providing or rectifying the service. But, is there a way to design a system which can absorb the variety of demand placed upon the public sector? 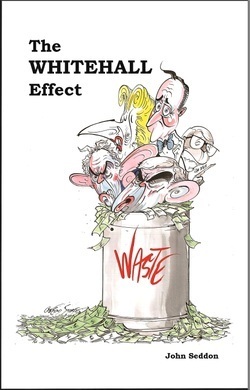 Whitehall has seemingly failed to understand the purpose of public sector services and imposed various production-based initiatives which have driven service quality down and forced inefficiencies, waste, bureaucracy, and costs up. Four years ago, John Seddon published his first assault on the regime of 'choice', targets, delivery, inspection, incentives, 'free market' reforms and back-office 'economies of scale' that continue to paralyse UK local authorities. Inspired by his understanding of the issues, managers and leaders from across the public sector began to introduce the Vanguard Method (a 'Systems Thinking' approach adapted from the Toyota Production System). The scandal of 35 years of central government attempts to get public sector reform right - and what can be done about it. John Seddon's bestselling demolition of the culture of targets, 'deliverology' and back office economies of scale that have paralysed sector management in the UK for years. Six detailed Case Studies (from Housing, Transport, HR, etc.) which convincingly demonstrate that John Seddon's recipe (above) actually works and delivers the results he promised. Eight case studies from the Police, the Fire Service, the NHS, AdviceUK (Legal and Social Welfare), Planning and Development and Food Safety show acts of vision and courage by public sector managers and staff and how they are transforming the experience and expectations of citizens. Case Studies from six local authorities - focused on housing, benefits and roads. 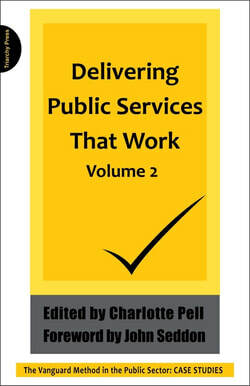 In Volume 2, the case studies look at In the police, hospitals, local government and social welfare. The starting point for anyone wanting to understand what's wrong with the way governments run the public sector from the centre and how it can work better. Stuart Corrigan's admirably short little book is written for anyone responsible for managing all or part of a service organisation – especially public sector organisations, but also commercial businesses and the service divisions of manufacturing firms. Written simply and clearly, it makes an ideal introduction for any organisation thinking about how to reshape and improve the service it offers its customers or the public at large.